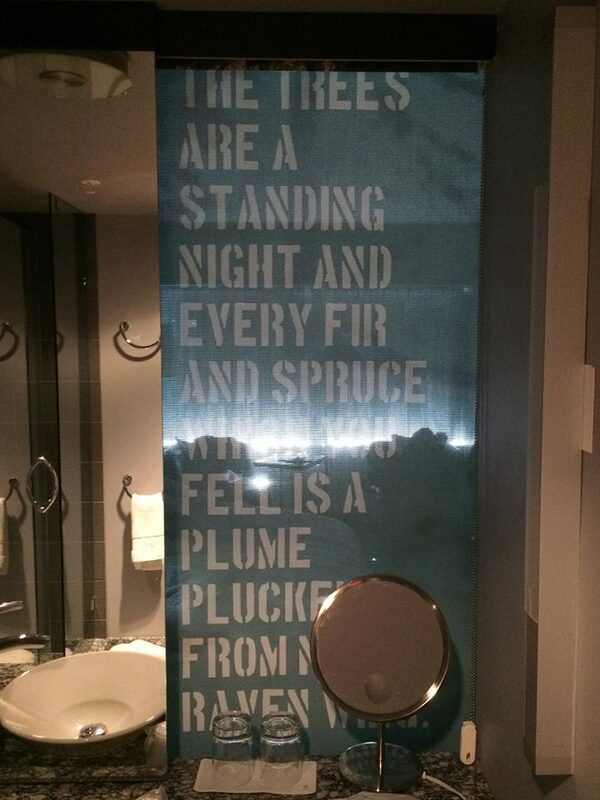 The words of Henry David Thoreau turn up in some wildly inappropriate places, including the screen in place of a real wall marking off the bathrooms at the W Hotel in Boston. This is from The Maine Woods, published in 1864, and while I do not know how many firs and spruces were felled in the manufacture of our accommodations, the screen, I believe, was made of jute. A very thoughtful piece about the responsibility of the artist comes from Joe Sacco at The Guardian. The novelist Michel Houellebecq, depicted on the cover of Charlie Hebdo the week of the slaughters, is hiding in rural France. (My familiarity with his writing begins and ends with Les Particules Élémentaires; I didn’t love it enough to check out the rest of his stuff.) His publisher’s offices in Paris are under police protection. His new novel Soumission, out this week in France, “imagines France being ruled by a radical Muslim president after France and Europe ‘submit’ to Islam.” Houellebecq has made a living out of taking down sacred cows, and has not always done so with delicacy. 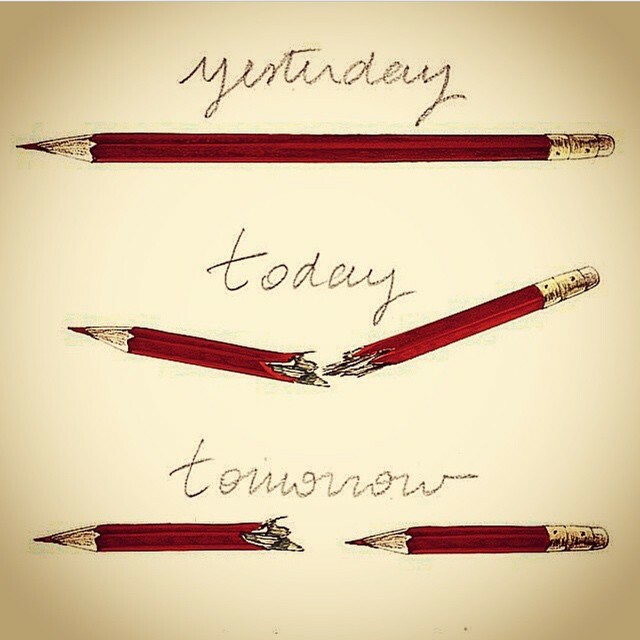 Love or hate the author, it can’t help but cut closer to the bone when the specific victims of a sick attack are those who make their livings through words and images. As one who has attempted to seek truth in art, I can attest that there can be value in going after the feelings of others—of the religious faithful, of the rich, of the poor, of parents and children, of artists and poets, of those in power, of the peasantry, of the good and the wicked, and those who protect us and those who serve us. I believe in the power of irony, mockery, and exaggeration, deployed at the right moments, as a means of directing our attention to our flawed human natures. We feel art by how we ache in response to it, by how it humiliates us, in all facets of the word. In that pursuit, however, everything that one says has a consequence, and it is the mutual acceptance of that which weights speech with a useful currency. I think we are being harmfully reductive when we think of the act of depicting the prophet Mohammed as merely as slight or offense against the religion of Islam. It is, according to the Quran, a blasphemy; it is an attempt to distance the figure from the holiness attributed to the figure, and in this country I think it is fair to call such acts hate speech. Hate speech is still speech, but there is a responsibility to know whom you are targeting—in this case, an entire segment of the world—and what you expect from them. I speak as one who is not religious, does not believe in God, but sees in others the fulfillment and sense of purpose religion can bring, and I feel those virtues are harmed when one attempts to stretch religion beyond the personal and into the political sphere. Religion ceases being about faith when it is used as a template for policing society—whether it’s about a Muslim’s disgust at infidels from the West or a Catholic protesting outside a Planned Parenthood. As others have pointed out, the actions of the terrorists were perhaps the swiftest way to get the rest of the world to see the images that enraged them, images they were otherwise unlikely to see. In that ironic way, it was demonstrated that a free society polices itself better than any zealot could. You are currently viewing the archives for January, 2015 at Neil Serven.